Microsoft has announced today that the 44-year-old Satya Nadella has been appointed successor to Steve Ballmer as the new chief executive officer, effective immediately. Indian-born Nadella is the third CEO of the technology giant; he joined Microsoft in 1992 and has degrees in electronics, computer science and business administration. Satya was the head of the unit that built the company's Cloud OS service, which powers products such as Bing, Skype and Xbox Live. 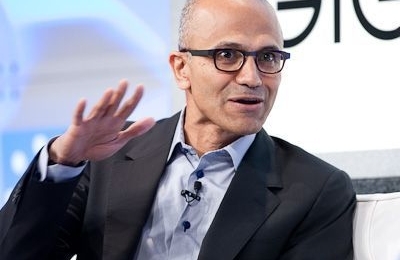 "During this time of transformation, there is no better person to lead Microsoft than Satya Nadella," said Bill Gates. Microsoft has also stated that Bill Gates will step down as chairman and instead take a new role as technology adviser.